A-haaaaaa! The Accidental Partridge Twitter account shows there's a little bit of Alan in all of us. 1. Radio 1's Greg James. 8. This bottle of Merlot. 11. Whoever commissioned this TV show. 14. 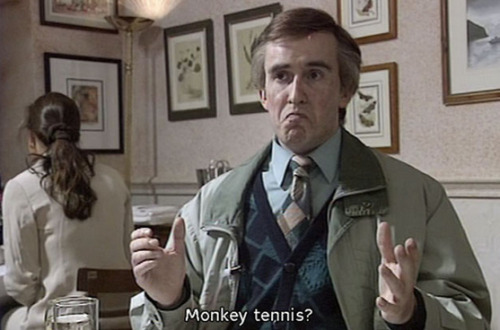 Eamonn Holmes AND Jeremy Kyle. 18. Will Young's book cover. May their unintentionally Alan-like behaviour continue for ever more.